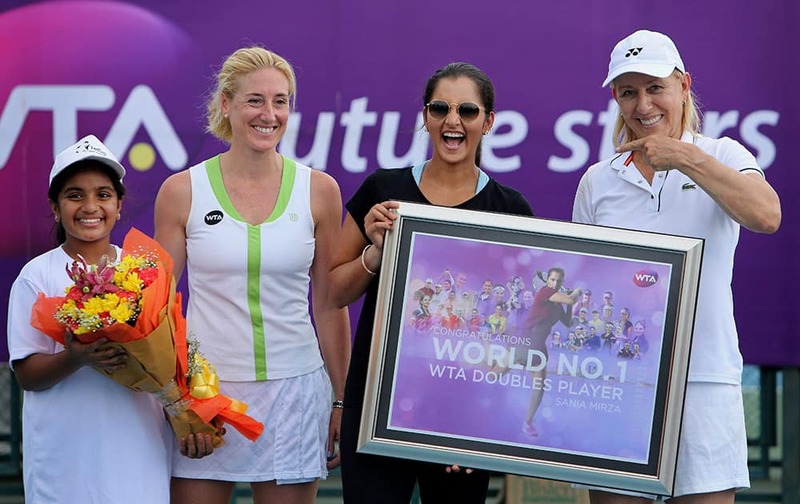 Former tennis champion Martina Navratilova, presents a token to Sania Mirza, as they pose for photographs with an Indian student and Women's Tennis Association (WTA) Asia-Pacific Vice President Melissa Pine, during the WTA Future Stars special tennis clinic at the Sania Mirza Tennis Academy in Hyderabad. 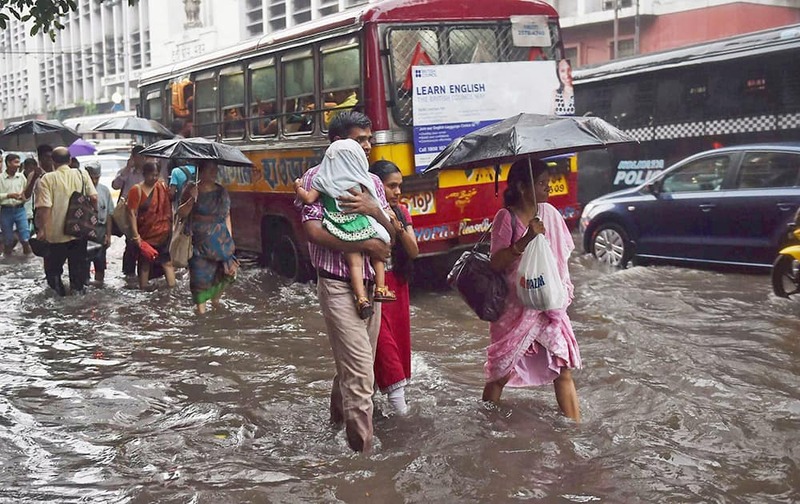 People wade through a waterlogged road during a heavy downpour in Kolkata. 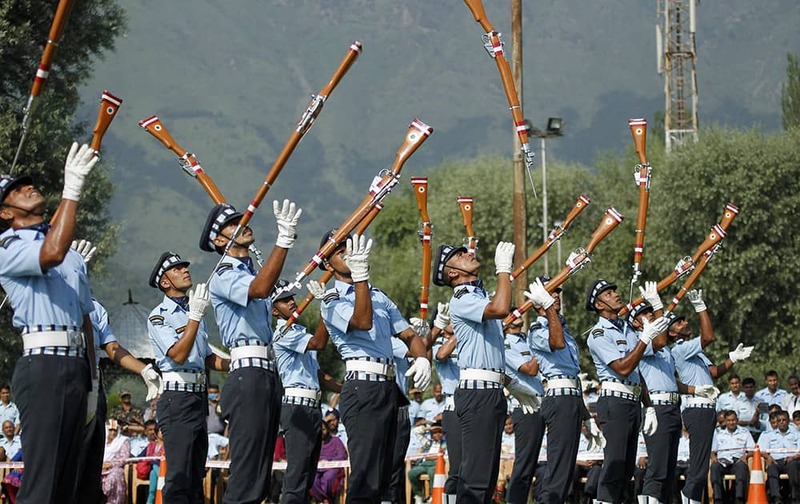 Air Warrior Drill team display their skills for the first time at Sher-i-Kashmir International Conference Centre in Srinagar on Wednesday during commemoration the 50th year of the air campaign in the 1965 India-Pakistan War. 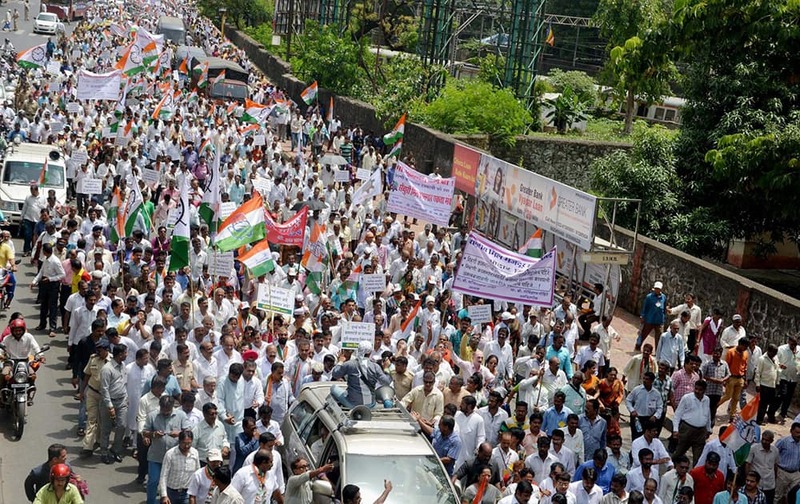 Congress and NCP members participate in a protest march of Mill workers from Ranibaugh to Azad Maidan, against BJP-Sena Government in Mumbai. 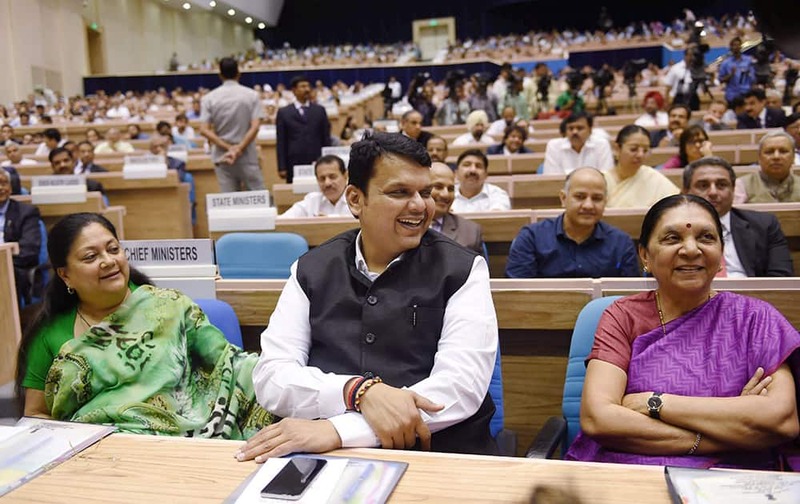 Gujarat Chief Minister Anandiben Patel, Maharashtra CM Devendra Fadnavis and Rajasthan CM Vasundhara Raje at the launch of Skill India campaign in New Delhi. 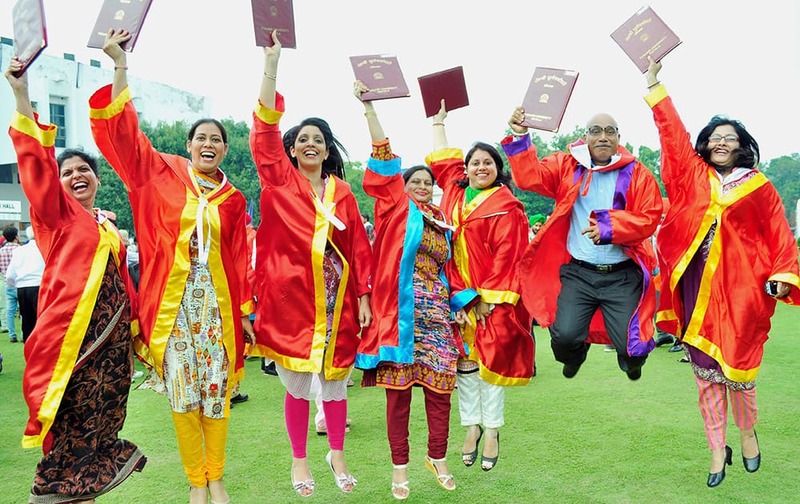 Students in jubliant mood after receiving their degrees during the Annual Convocation of Punjabi University in Patiala. 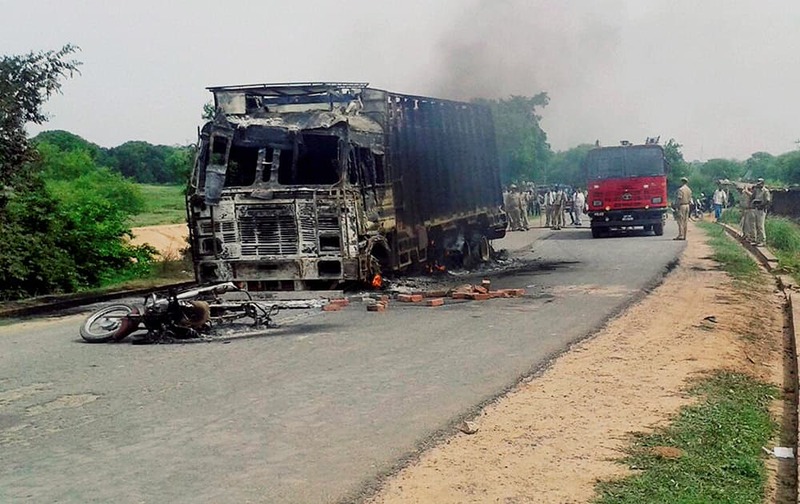 Police men standing near the trucks that were torched by angry villagers after an accident at Karchhana near Allahabad. 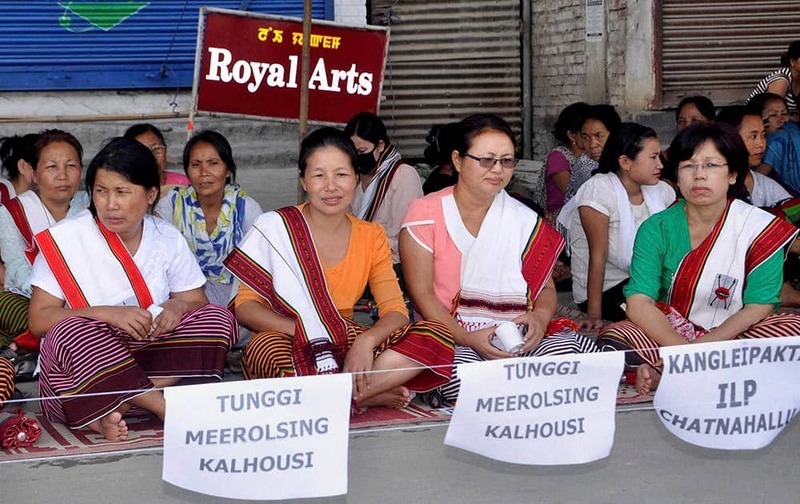 Women stage a sit-in protest over the Inner Line Permit System in Manipur at Khwairamban Keithel in Imphal. 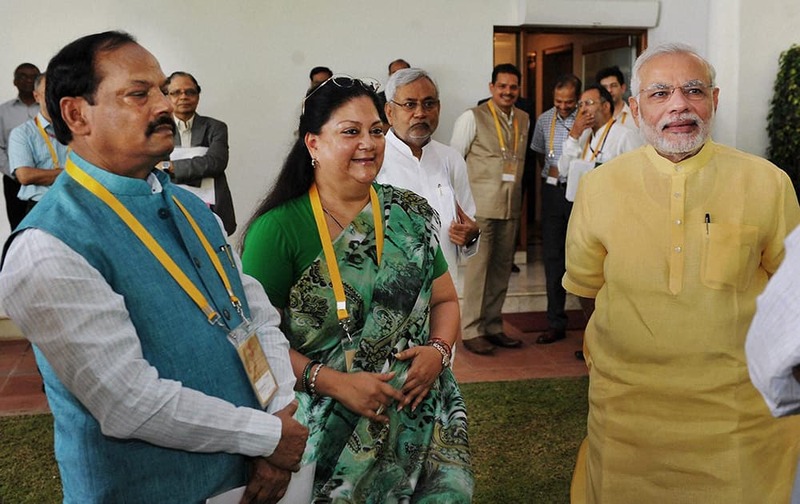 Prime Minister Narendra Modi interacts with the Rajasthan CM Vasundhara Raje and Jharkhand CM Raghubar Das ahead of the 2nd meeting of Governing Council of NITI Aayog in New Delhi. 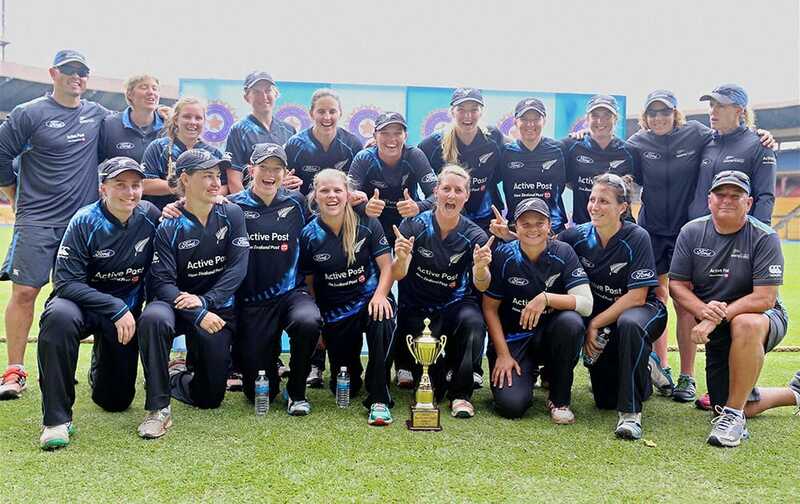 New Zealand women cricketers pose for a group photo with T20 trophy after winning the series against India by 2-1 at Chinnaswamy stadium in Bengaluru. 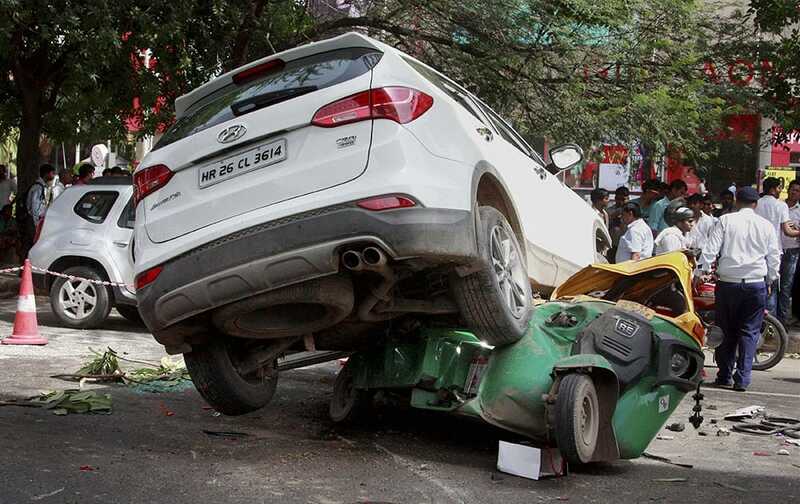 A SUV crushes an auto-rickshaw after unidentified persons shot at its driver at MG Road in Gurgaon on Wednesday. 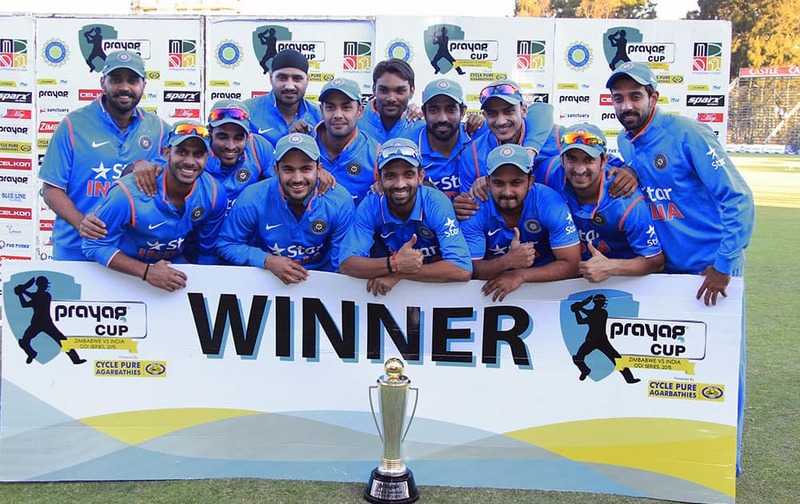 The auto driver died in the accident while driver of SUV with two more people injured severly. 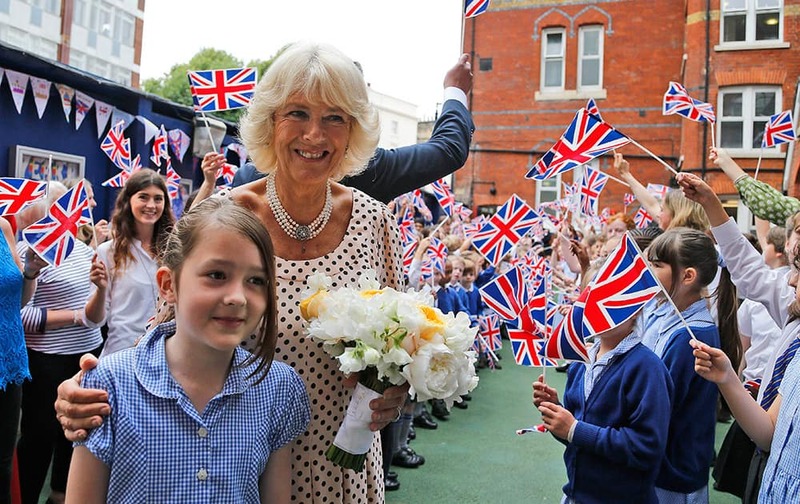 Well wishers wave Union Flags as the Duchess of Cornwall visits St. Peter's Eaton Square Church of England Primary School in London. 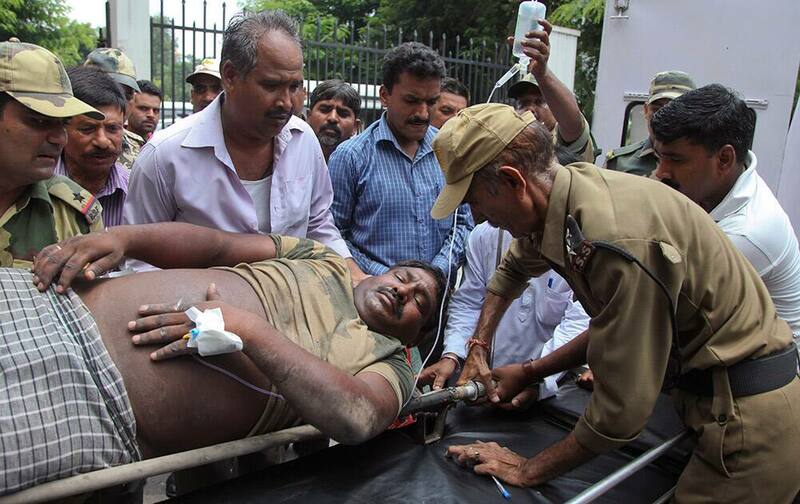 An Indian Border Security Force soldier injured in exchange of fire on the India Pakistan border is brought for treatment at the government medical college hospital in Jammu. 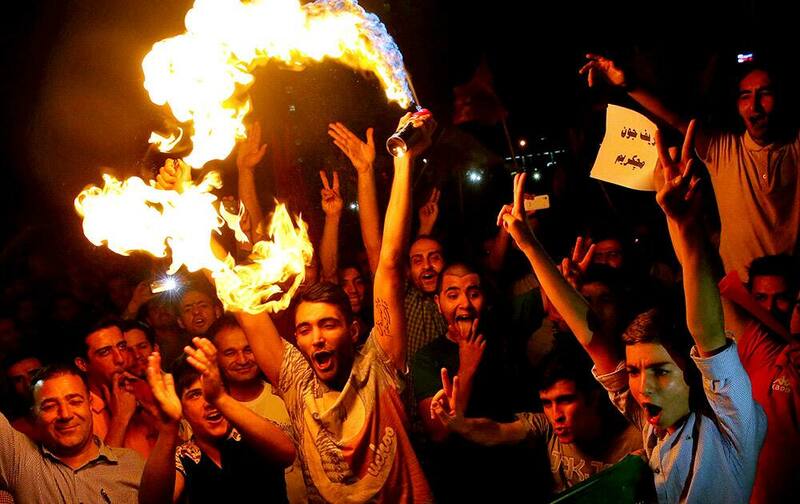 Iranians celebrate following a landmark nuclear deal in Tehran, Iran. 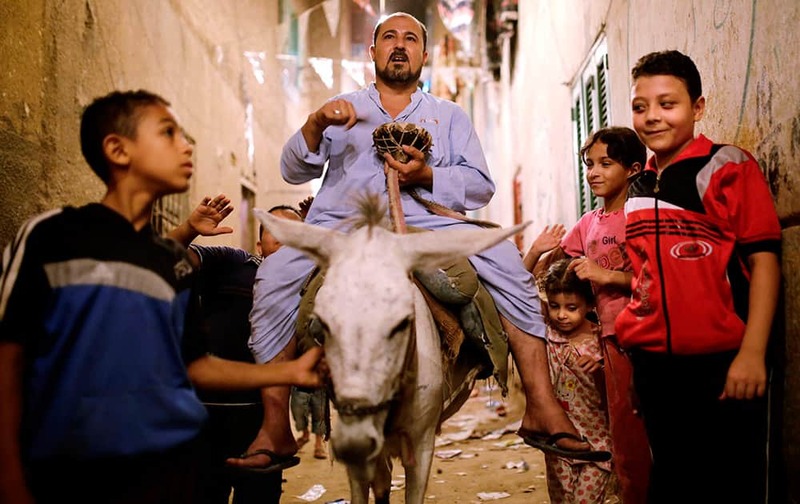 Children gather around Essam Sayed, a 45-year-old "mesaharati," or dawn caller, as he wakes people up for a meal before sunrise, during the Islamic holy month of Ramadan, in the Arab Ghoneim district of Helwan on the southern outskirts of Cairo, Egypt. 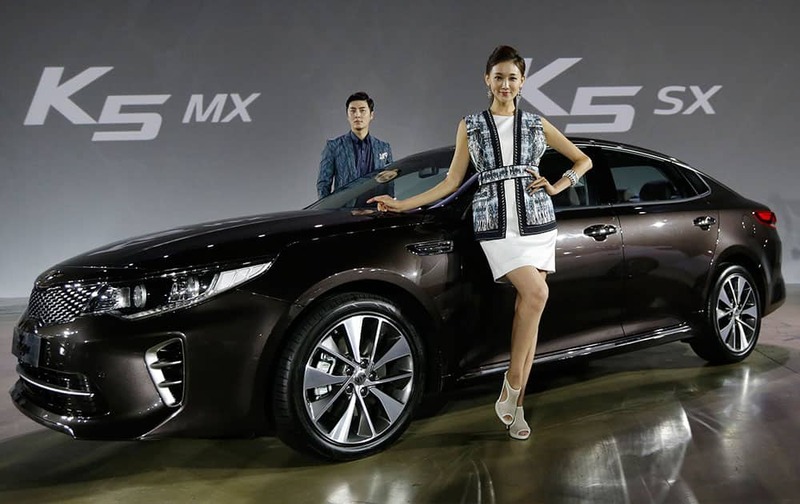 Models pose with Kia Motors' newly-launched K5 sedan during an unveiling ceremony in Seoul, South Korea. 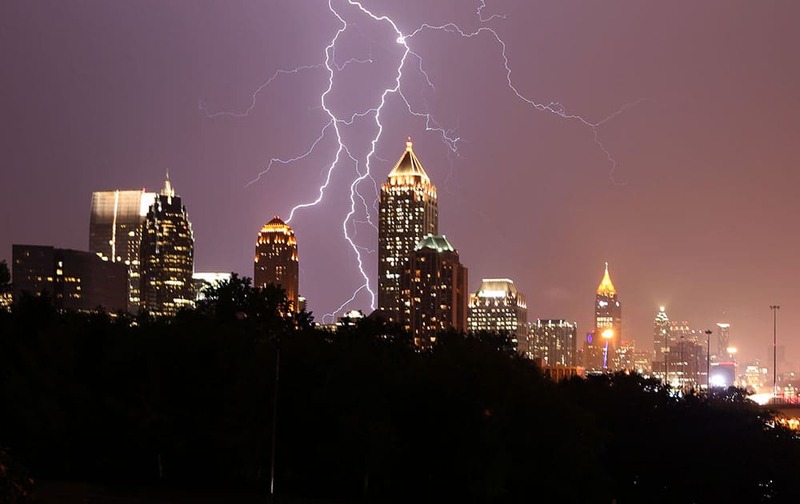 Lightning lights up the midtown Atlanta sky, as strong storms move through the area. 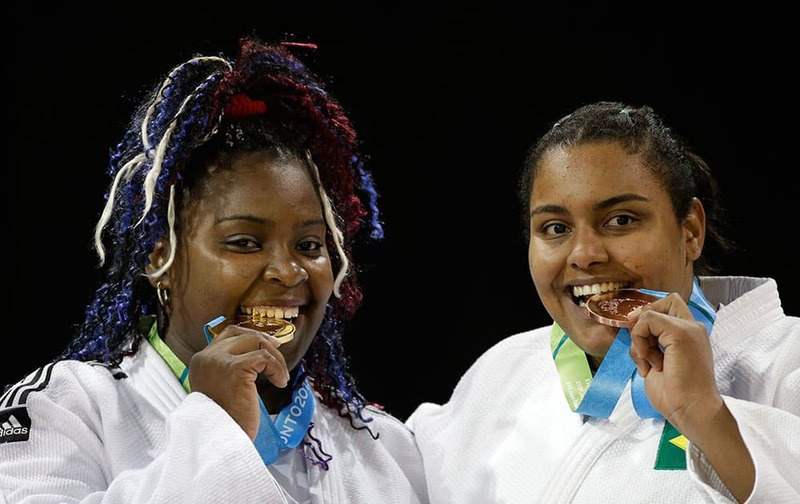 Gold medalist Cuba's Idalys Ortiz, left, and Bronze medalist Brazil's Maria Sullen Altheman pose with their medals earned in the women's +78kg judo competition at the Pan Am Games in Mississauga, Ontario. 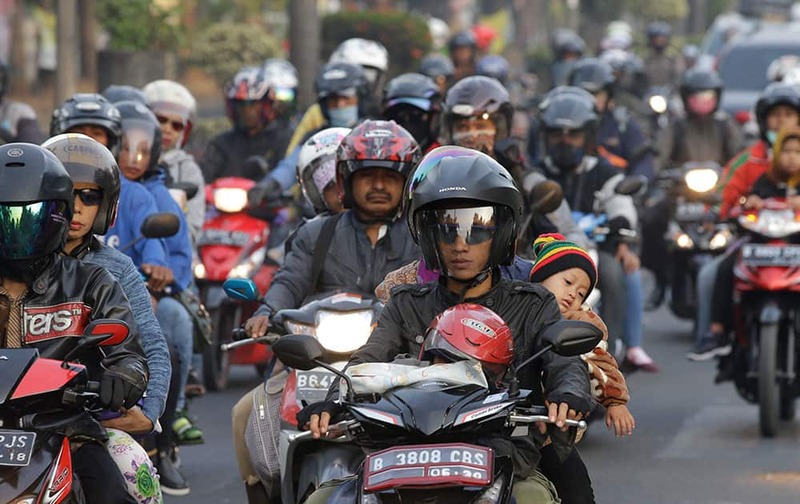 People ride motorcycles for going home at Bekasi, outskirt of Jakarta, Indonesia. The mass exodus out of the capital and other major cities in the world's most populous Muslim country is underway as millions are heading to their hometowns to celebrate Eid al-Fitr this week which will mark the end of the holy fasting month of Ramadan. 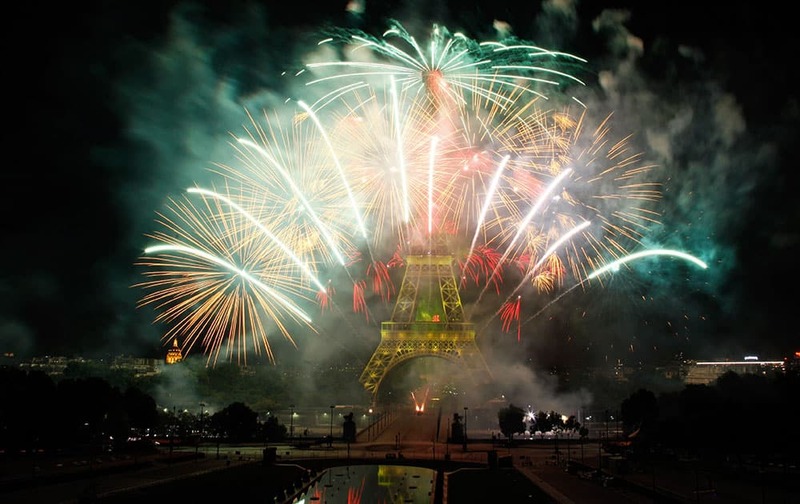 Fireworks illuminate the Eiffel Tower in Paris during Bastille Day celebrations. 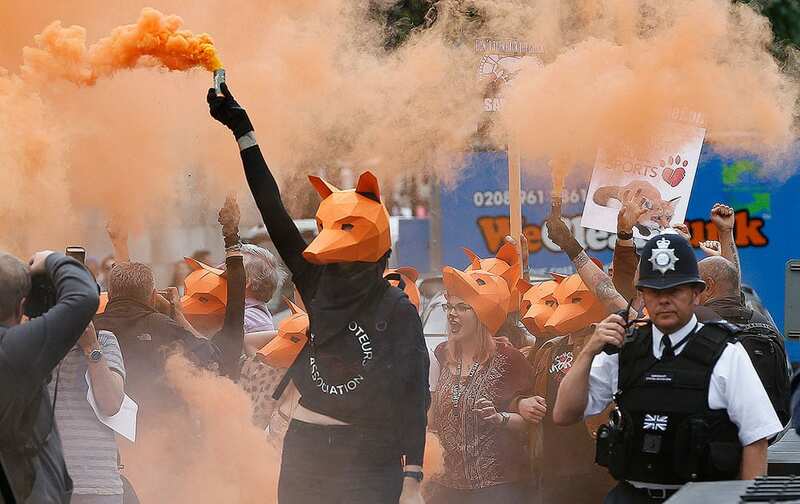 Protestors dressed as foxes demonstrate in front of the Houses of Parliament in London. 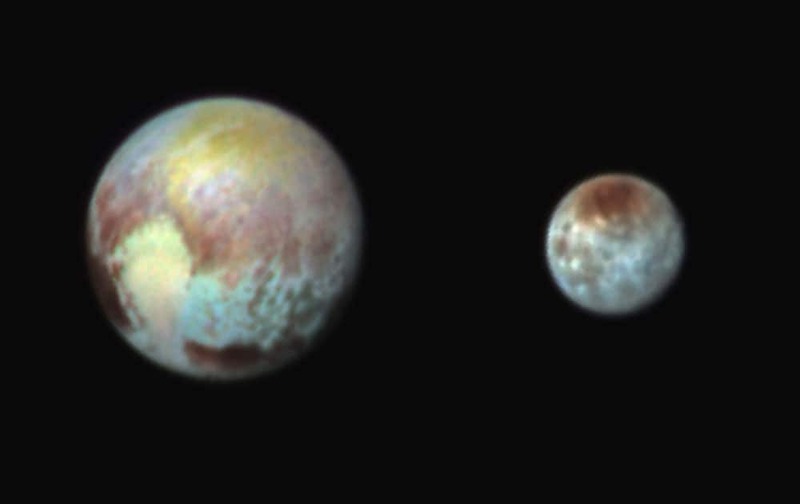 Pluto, left, and its moon, Charon, with differences in surface material and features depicted in exaggerated colors made by using different filters on a camera aboard the New Horizons spacecraft. In this composite false-color image, the apparent distance between the two bodies has also been reduced. 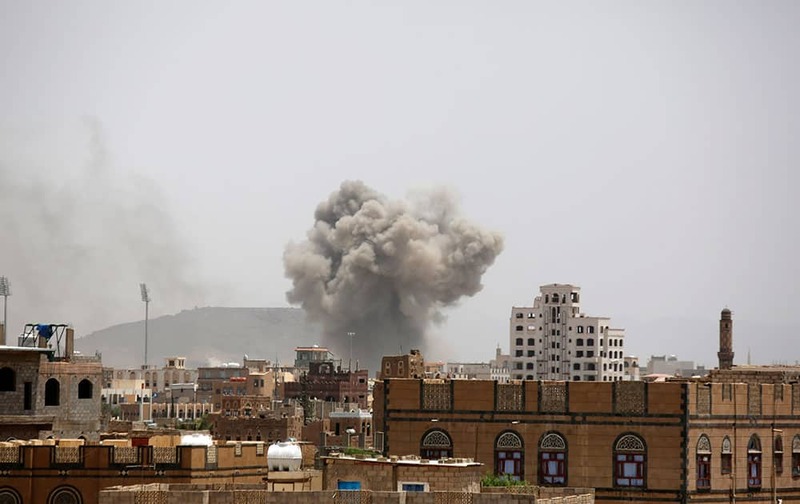 Smoke rises after an airstrike by the Saudi-led coalition in Sanaa, Yemen. 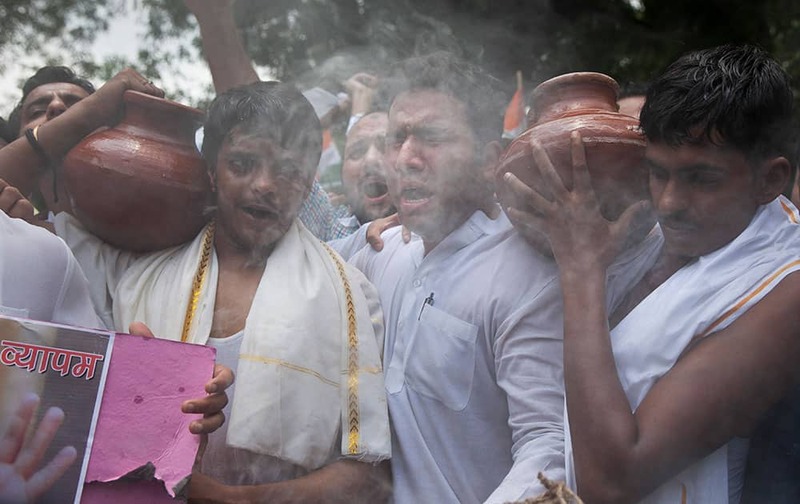 Activists of India's opposition Congress party's youth wing enact a mock Hindu funeral during a protest against a multimillion-dollar college admission and government job recruitment scandal in New Delhi, India. 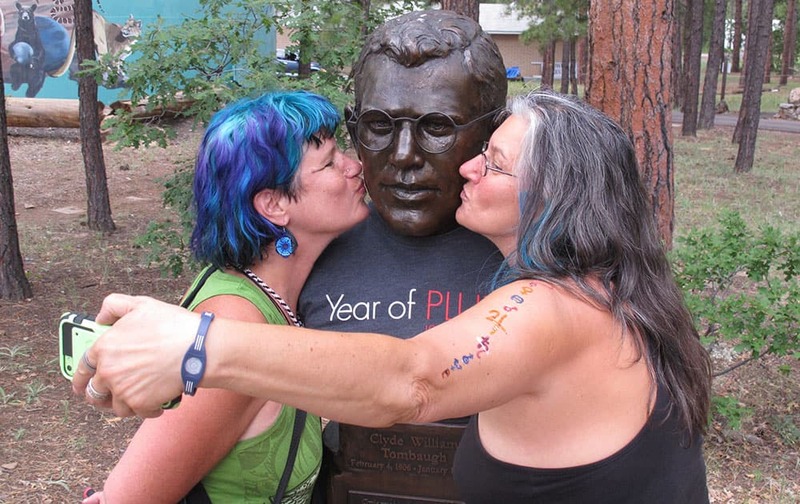 Trevor Tully, left, and Eva Marie Dragos, right, of Sedona, Ariz., kiss a bust of Clyde Tombaugh at Lowell Observatory in Flagstaff, Ariz. 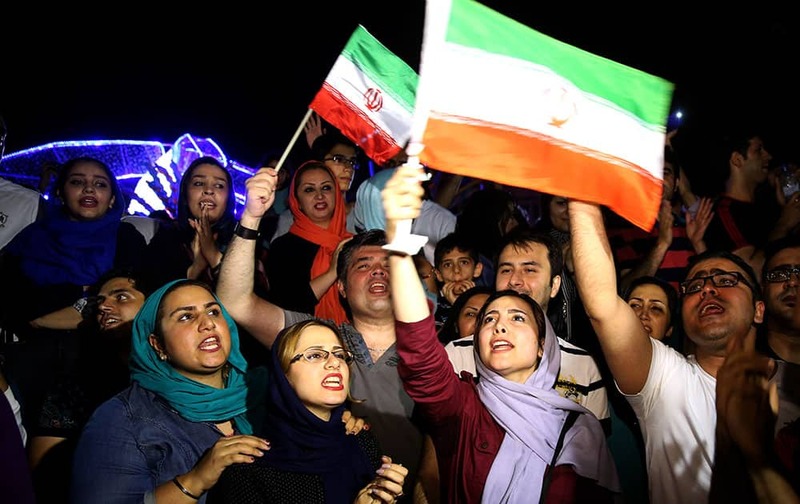 Jubilant Iranians sing and wave Iran flags during street celebrations following a landmark nuclear deal, in Tehran, Iran.